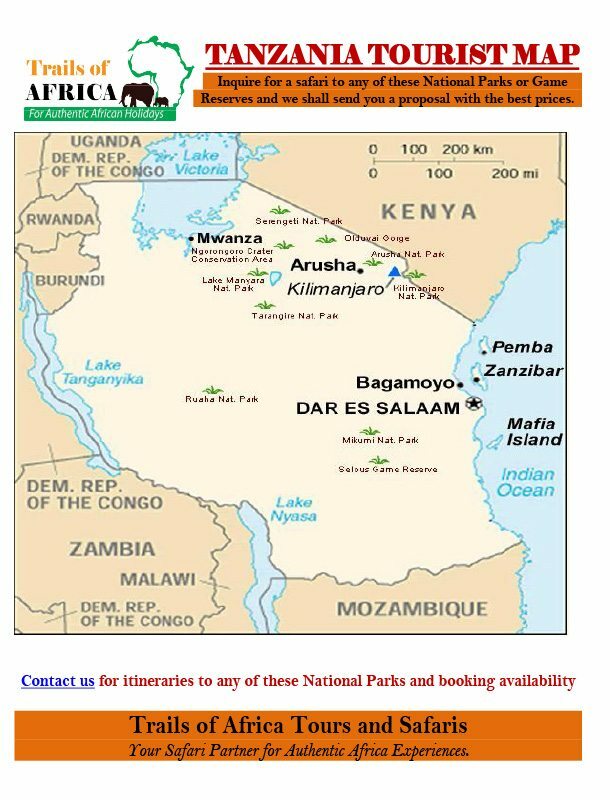 • Accommodation: Either in 5star or 4star Hotels/Lodges/Camps depending on your budget. The tour starts with lunch in Arusha town at 1230hrs. 1400hrs, drive to Ngorongoro Conservation Area. Dinner and overnight at the lodge.The Ngorongoro Conservation Area: A UNESCO protected World Heritage Site and an International Biosphere Reserve, the Ngorongoro Conservation Area consists of the Ngorongoro Crater itself, Empakai Crater, Oldupai Gorge, and Ndutu including the short grass plains of the south eastern Serengeti ecosystem.Day 2: Ngorongoro – Arusha-DepartureToday you will descend 2000 feet (over 600 meters) to the floor of the crater for a half day crater tour. Explore the forest areas that are inhabited by monkeys and elephant, the lake area, where you may see the flamingos and the open savannah where the lions hunt for food. Lunch at the lodge. After lunch, drive back to Arusha. Drop off in Arusha town at round 1700hrs.